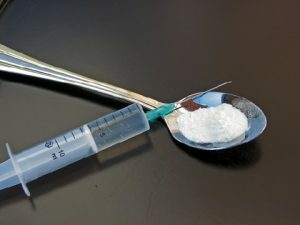 “The number of heroin users in the United States jumped from 404,000 in 2002 to 948,000 in 2016, a 135% increase, according to the most recent government numbers. But even more striking: The number of people who had fatal overdoses related to heroin has skyrocketed from 2,089 in 2002 to an estimated 13,219 in 2016 — a 533% jump. These numbers are a striking marker of the lethality of the opioid epidemic that has taken root across the country. Health and Human Services Secretary Dr. Tom Price said more American lives are lost to drugs than were lost in Vietnam. The US military saw 58,000 casualties during Vietnam; this year, drug overdose deaths are expected to reach an all-time high of 71,600. “This is unacceptable,” said Price, who was part of a panel that released the latest findings from the Substance Abuse and Mental Health Services Administration’s 2016 National Survey on Drug Use and Health on Thursday.